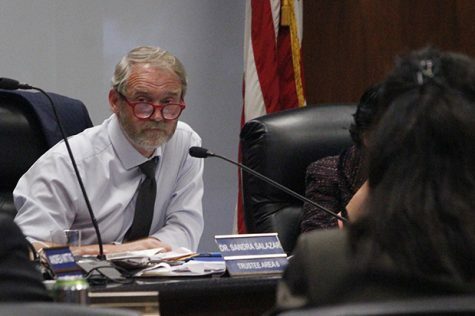 The Cerritos College Board of Trustees meeting began moving through the agenda items at a fast pace. 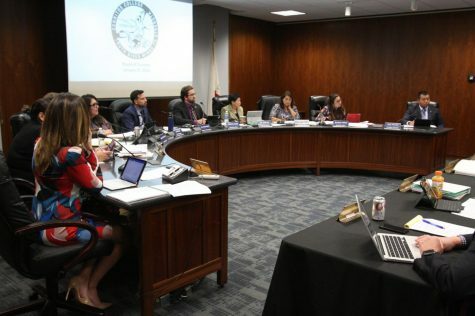 The board had no comments from the public, or reports and comments from constituent groups during the time allotted for comments from the audience. 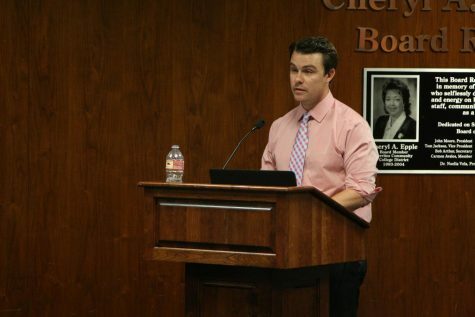 That was to be expected as there were no more than eight people in the audience at the start of the meeting, and three of those were there to present the Cerritos College Master Plan Update, and two others who were there to receive the Perez-Medrano Scholarship. 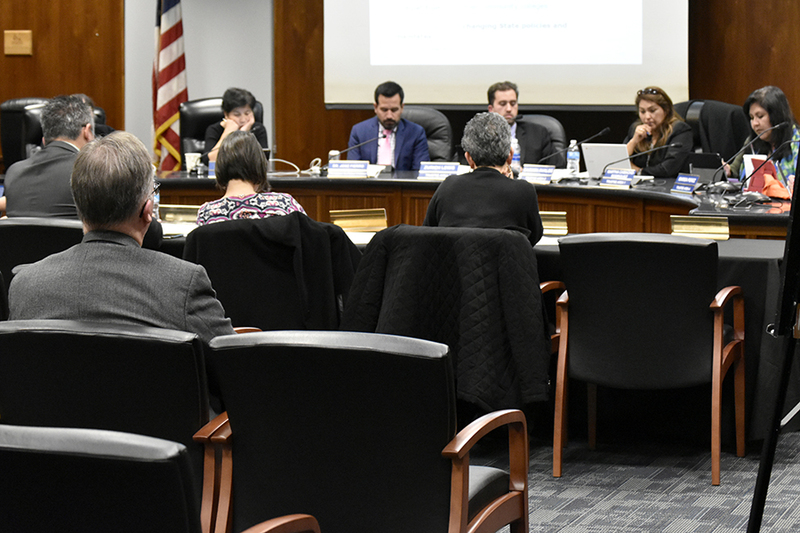 The meeting took place Wednesday, Jan. 25, where The Perez-Medrano Scholarship was established and given by Cerritos College Board of Trustee member Marisa Perez. The scholarship recipients for this year were Jessica Haro and Alejandra Robles. They were selected after filling out the Cerritos College Scholarship Foundation application, and going through an interview with Perez. 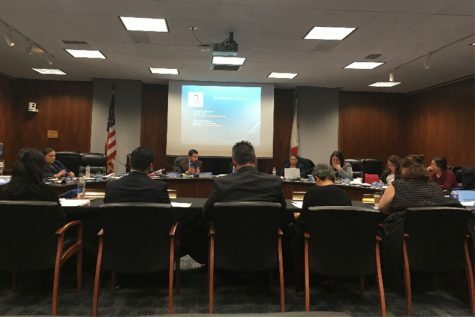 During the first board of trustee meeting, Perez had a dispute with fellow board member John Paul Drayer that included allegations of harassment from both board members. Drayer did not attend this board meeting. The fast pace came to halt and the following hour and 40 minutes of the meeting was spent listening a 92 slide PowerPoint update on the Cerritos College Master Plan. The data for the presentation was partially compiled from over 1,000 surveys completed by Cerritos College students. She also encourages students to participate in the upcoming Cerritos College Educational Master Plan Charrette happening Friday, Feb. 10 from 8:30 a.m. – 3 p.m. in the Student Center. 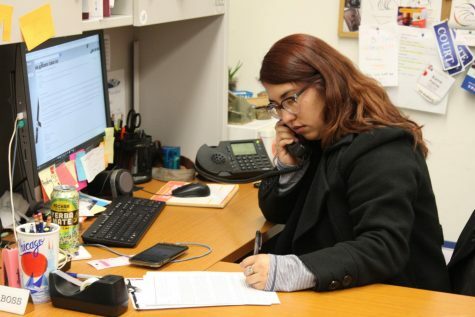 “I hope students go to that because that’s really where there [are] going to be multiple students and multiple perspectives to advocate for our [students] struggles so it’s really important that we’re there representing ourselves,” Patron said. 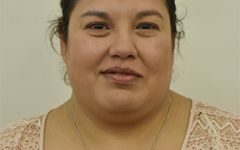 “I talked a little bit about that [during the board meeting] in terms of the eight week or nine week classes, to be able to move [students] faster. So maybe we limit in terms of the total courses for those nine weeks, no more than two or three classes to make it manageable and be able to look at chunking a two-year plan for students. “I’m excited about those opportunities in terms of what I see in the near future for students. […] There’s a bunch of clay we need to work through make a product that will be buyable, sustainable and then truly impact what we want to see which is students being successful at a quicker rate,” Avalos said. Perez believes the data presented showed, “a good snapshot of what our strengths are and what our opportunities are. “I’m looking forward to hearing everybody’s thoughts at the Charrette on Friday, Feb. 10 I think that’s going to be another good opportunity to hear from our students, our faculty, our staff and community members. “The thing that was most interesting to me was ‘how do we tie the classes that we teach here at Cerritos with what the industry wants?’ I think that thinking at the very big picture, that’s what we’re all hoping to get; a good paying job. That is why we’re all going to college: either we want to transfer to a university, we want to get a certificate or we want to upgrade our skills… I think that’s what is most interesting to me and I’ll definitely be more aware to that as we discuss things as a board. How do we support programs that will get our students good paying jobs?” Perez finished.